Welcome to Creative Interiors! Mike and Cindy Fitzgerald, owners of Creative Interiors, have been making dreams become realities for more than 30 years. Mike’s experience in construction is vast from new residential and commercial interiors, to home remodels. 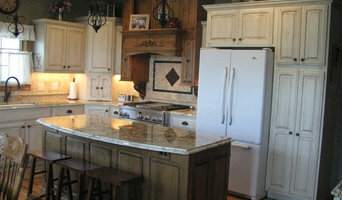 We specialize in Kitchen and Bath Design and Remodel as well as those special spaces in your home. Creative Interiors clients can be confident their ideas will be transformed into the home or commercial project they envisioned. We are able to supply you with all of your building and remodeling needs. Our design and sales team will work hard for you in the spirit of "Partnership" and look forward to creating a design to meet your budget and exceed your expectations. Welcome to Stephanie Bruntz Designs! We are a full service design firm and we love making our client’s dreams become a reality. 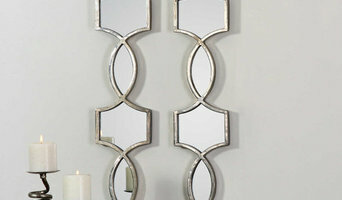 From our very first meeting, we are thinking of all of the design possibilities for your space. In our early conversations we strive to learn about you, your family, and why you want to invest in your home. We take great pride in what we do and we want to ensure that from beginning to end your experience with us is fun and enjoyable. We can help you with every aspect of your project from start to finish and we offer many products for you to choose from. These products range from cabinetry, countertops, and appliances, to floor and backsplash tile, hardwood, cork, hardware, lighting, bar stools, glass, and even brick and stone products. We have a wide variety of styles in our showroom and can design in any style that suits you! We would love to have you visit our new showroom. From building your new dream home to additions to remodeling your existing space we are your one contact. We handle the design, plans, building, etc. so you can have more time to relax while your project is underway. Bidwell Construction is proud to employ highly experienced cabinetry contractors who serve Kearney and the surrounding areas. We offer punctual and professional service that can be tailored to specific client needs. If you retain our services, we'll help you explore a range of options for your new cabinets. You can trust that we won't cut corners with any part of our craftsmanship. We offer environmentally friendly services and only use products that we believe in. Our goal is to create results that clients will love for a long time. As a locally owned and operated company, Bidwell Construction is committed to exceeding customer expectations. 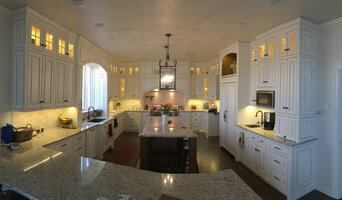 We take pride in our work as cabinetry contractors serving Kearney, NE. To learn more, contact our office today to set up an appointment with a member of our team. Our professional design staff is here to help you create the perfect kitchen for your home. Our first goal is for you to understand the process, and then to design a kitchen that is designed for your family today and in the future. Bring us your measurements, and our staff will create a computer-assisted design that will show your cabinet layout, elevations, even a 3D perspective of what your kitchen or bath will look like. Appointments are recommended so that we can give the attention you need. We have chosen our cabinet lines based on quality, value, solutions, and final creative options. We design cabinets for you to live with, today and tomorrow, and turn to our suppliers to provide a nearly endless variety of prices, styles, and options. We will ask what your needs are, and we will find the perfect cabinetry and countertops for you and your family. We are proud to be an authorized Fieldstone Cabinetry dealer. 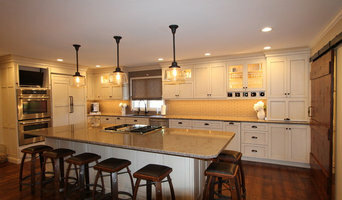 Leaders in the manufacture and supply of quality lighting for kitchens & baths since 1985, Task Lighting Corp. remains on the cutting edge of innovation & design. Our award-winning Angle Power Strip is now available in more colors & options. Always responsive to our customer's needs, we offer a variety of attractive & energy-efficient products. Babl Kitchen and Bath provides quality products with exceptional customer service. From initial designs to selecting products and installing we will help you from the beginning to the end. *Authorized Armstrong Dealer* CMH Distributing started business in 1999, by owner Cory Halliwell. In our 11,000 square foot facility, CMH is one of Kearney's premier sellers of cabinetry, windows, doors, flooring, and much more. From the beginning stages of construction until the completion of the project, CMH Interiors, will help you make some of the most difficult decisions ranging from design, color, selection, and the many types of materials. We'll help you design your space exactly the way you imagined. Each design is created to suit the needs of our valued customers! We aim to exceed expectations! Dobish Construction, located in Kearney, NE, is owned by Matt & Kelsey Dobish. We serve the Kearney and surrounding communities. Our goal is to make your project go as smoothly as possible. We will provide you with ideas if you need them and will work with you to customize your preferences. Providing quality work at competitive prices, we aim to exceed expectations and take pride in your satisfaction. We are experienced in a variety of areas including general contracting, full remodels, kitchen remodels, bathroom remodels, basement finishes, siding, door & window installation, flooring, trim, decks, custom fireplaces, and more. We have even completed remodels for relocating businesses in the community. Whether you are looking to build a new home or just need a few doors installed, we would be glad to visit with you. Send us a message and let us know the project you're planning! As Kearney's only National Association of Home Builders - Certified Graduate Builder, when you choose to work with Spracklen Built you can rest assured you are receiving the highest quality of craftsmanship and professionalism. 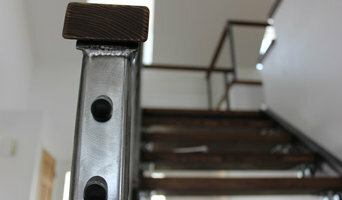 From Creation to Installation, Designs of Distinction will designs, fabricate and install your decorating needs. From privacy in the form or shades, blinds or shutters to beautiful draperies we can do it all! Midwest Elite Contracting does General Contracting and Storm Damage Restoration. Residential and Commercial New Construction and Remodeling. Vous avez besoin de quelqu’un pour vos travaux ? Lisez nos trucs et astuces pour trouver les bonnes adresses de professionnels Cozad, NE. Utilisez la liste de pros recommandés pour votre recherche de contact d’artisans locaux, de sociétés du bâtiment et autres professionnels des travaux partout en France. Comment trouver des professionnels du bâtiment Cozad, NE ? Avant de vous lancer dans d’interminables recherches, réfléchissez bien aux points suivants. Quel est votre budget travaux et quelle est l’étendue de votre projet ? En effet, si vous souhaitez installer une cuisine aménagée, refaire votre décoration intérieure ou une rénovation de salle de bain, vous devrez faire appel à plusieurs types d’experts dans votre secteur. Avez-vous les moyens financiers pour entreprendre de tels travaux en une fois ? Il peut-être préférable de procéder par étape. Une fois que vous aurez déterminé vos priorités, le budget et l’étendu de votre projet, vous pourrez chercher des professionnels Cozad, NE. N’hésitez pas à utiliser votre réseau de connaissances pour obtenir des recommandations sur des professionnels compétents dans la région. L’avis et l’opinion de vos proches sont très utiles pour vérifier le sérieux d’un prestataire. Comment choisir des entreprises du bâtiment Cozad, NE ? Pour trouver le meilleur professionnel de la maison pour vos travaux Cozad, NE, cherchez parmi les 2 817 professionnels inscrits sur notre site et affinez votre recherche dans la section « Trouver un pro » par localisation ou par nombre d'avis. Nous vous invitons à regarder des photos de projets Cozad, NE et à prendre contact avec chaque entrepreneur, artisan et société Cozad, NE pour plus d'informations.